Ultra fine, breathable, translucent face powders. 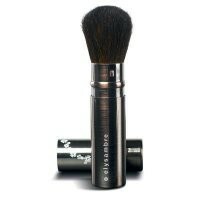 The Elysambre organic loose powders have a very thin texture for easy application. Moisturises and protects the skin from external influences, for a long lasting flawless look. An after day cream, it is perfect ally for oily skin. Applied on top of foundation or primer, it sets make-up, evens out the complexion and leaves the skin shine-free. Ideal for oily skin. mineral talc, mica, zinc stearate, vitis vinifera (grape) seed oil bio, butyrospermum parkii (shea) butter bio, asparagopsis armata extract, oxycoccus palustris seed oil, pongamia glabra seed oil, aspalathus linearis leaf extract, helianthus annuus (sunflower) seed oil bio, tocopherol [+/ may contain: ci 77891 (titanium dioxide), ci 77491 (red iron oxide), ci 77492 (yellow iron oxide), ci 77499 (black iron oxide)] bio: organic ingredients.